During LIMA '19, the Langkawi International Maritime and Aerospace exhibition currently held in Malaysia, the new Chief of the Royal Malaysian Navy confirmed to Naval News that the 15 to 5 transformation plan would continue. The plan was a brainchild of the former RMN Chief of Navy, Admiral Kamarul. 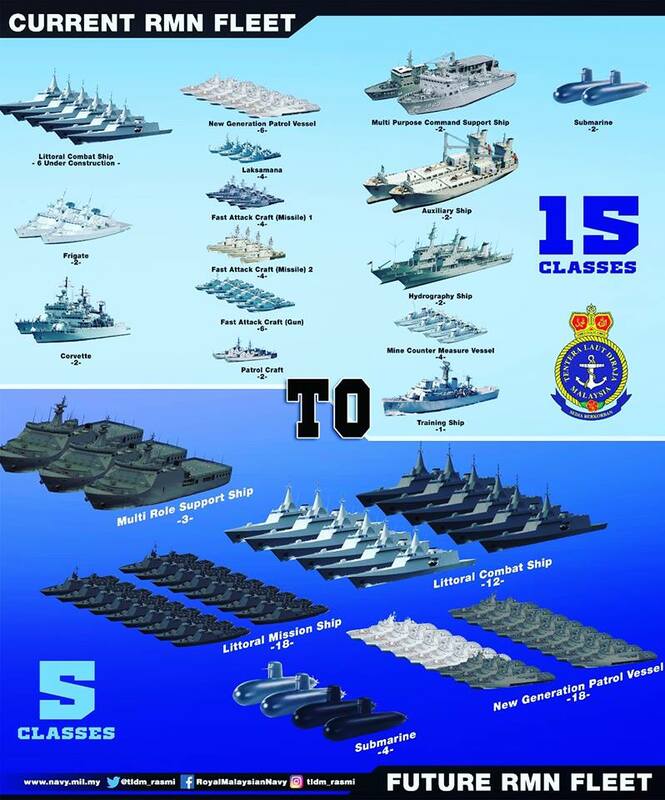 Some of the goals of the transformation plan are a 40% increase in days spend at sea for ships across the fleet, an 85% average state of readiness and a total of 55 ships in the RMN fleet by the year 2050. – To maximise Armada readiness, sustainability, fighting capacity and contribution to joint forces through optimum mix of capabilities. Regarding MRSS, Admiral Reza told Naval News that he is “still negotiating with the government to make sure it becomes a reality in the near future”.